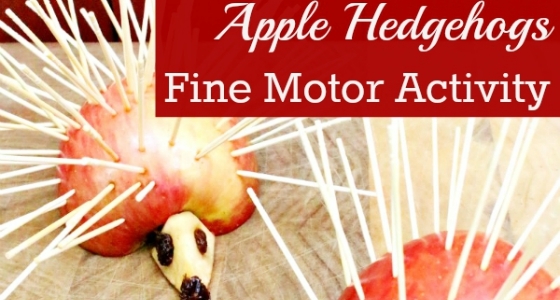 These hedgehog apples are the perfect way to keep kids entertained while they practice their fine motor skills. 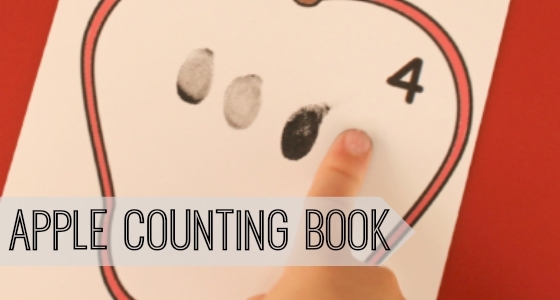 Fine motor skill development is important for later writing skills and hand work. 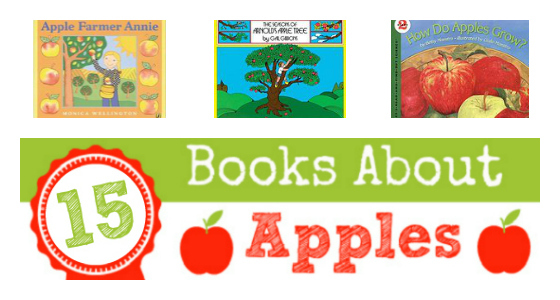 Use this activity for a fall theme, apple theme, or animal theme. 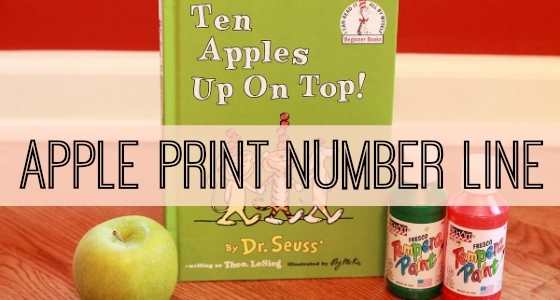 In this activity children place toothpicks, or spaghetti, into an apple half to practice their fine motor skills. 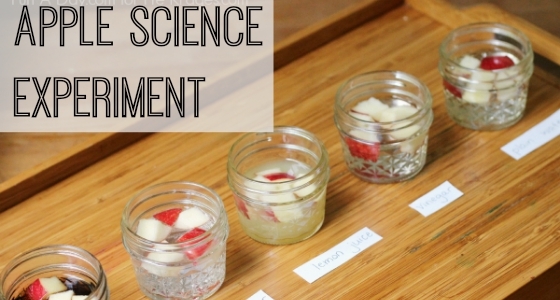 Help develop the fine motor control muscles in the hands. Prepare the hand to learn to write. Make it easier to learn handwork skills. Cut an apple in half and place on work surface. Set aside. 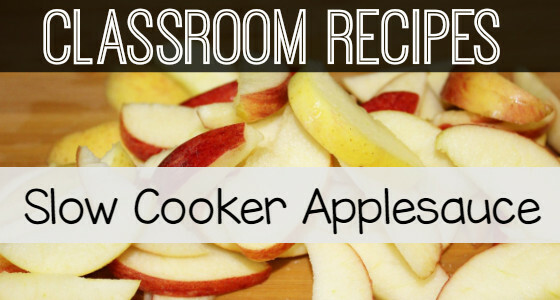 Cut a small slice of apple in half. Carve apple with knife to make a head. Carve eyes out with knife or thumbnail. Place raisins in the eye sockets. Attach head to the body using a toothpick. Pierce toothpick through the nose all the way into the body. Place a raisin on the blunt edge of the toothpick to make the nose. Place hedgehog head and body on a work surface. 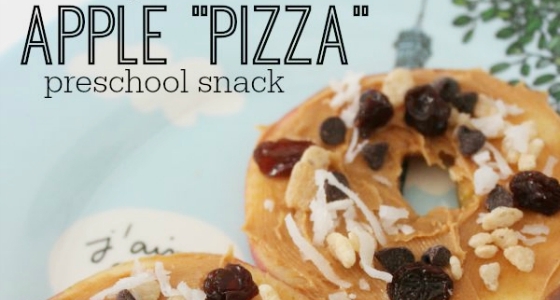 Invite your child to place toothpicks into the half apple body. 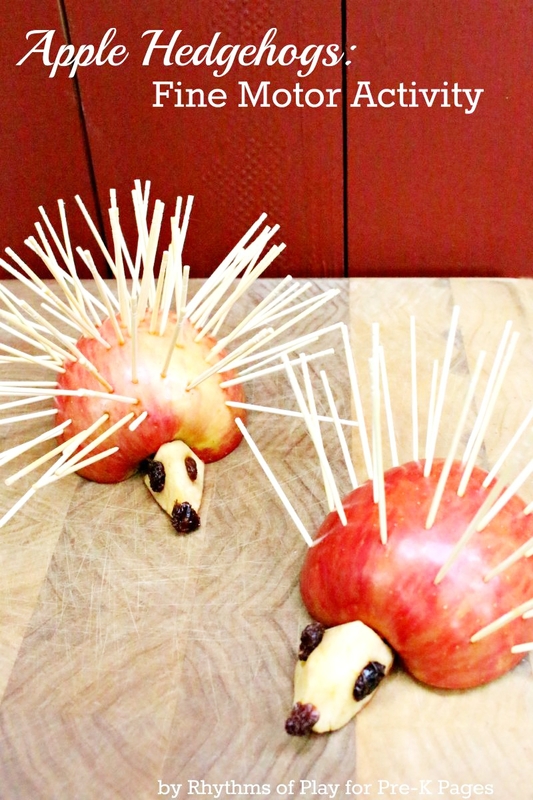 Fill up the surface of the half apple with toothpicks to make a hedgehog. You can extend the activity by learning about hedgehogs. The hedgehog got its name because the animal roots through hedges and other undergrowth in search of its favorite food, making all sorts of grunts and noises. They eat small creatures such as insects, worms, centipedes, snails, mice, frogs, and snakes. Hedgehogs are easily recognized by their spines, which are hollow hairs made stiff with keratin. A hedgehog measures around 23 centimeters (9 inches) in length and has a 4 centimeter (1.5 inch) tail. They can weigh up to 2 kilograms (about 4.5 pounds). The hedgehog has a powerful forefoot and claws for digging. They have a particularly long, extending snout beyond the front of their mouth which they use to help them forage for food. There are 15 species of hedgehog. 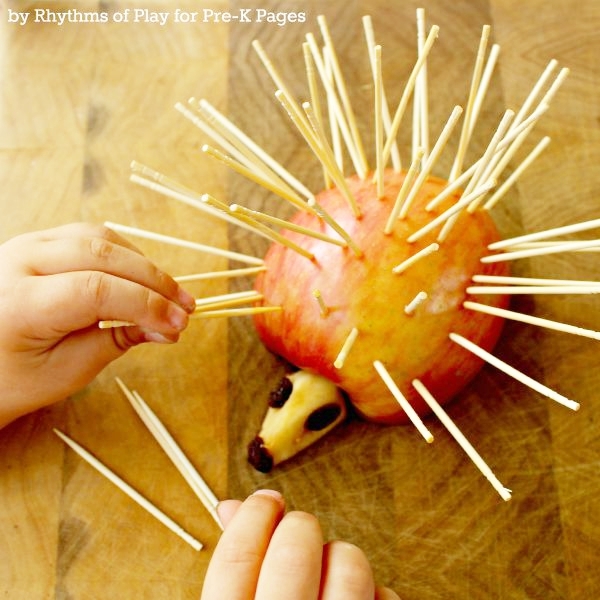 Making hedgehog apples is a great way to practice fine motor skills. Developing the fine muscles in the hand is necessary for later writing and handwork. 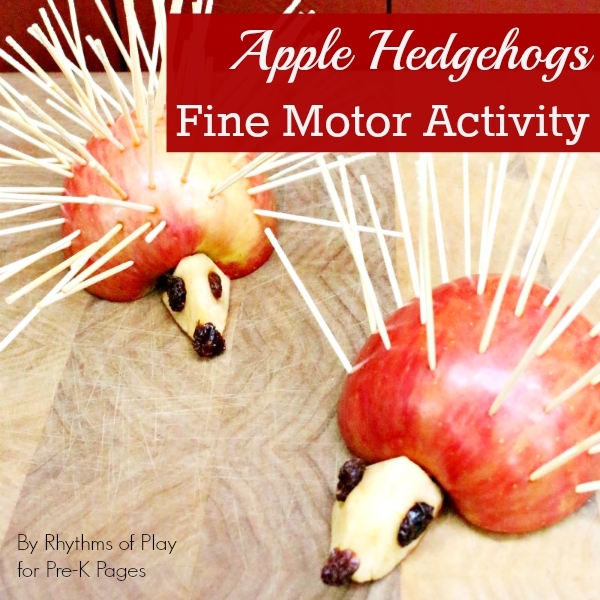 While making a hedgehog adds a fun element to the activity, you don’t have to make a hedgehog for this to be an effective way to practice fine motor skills. BIO: Nell believes in the magic of childhood, spending more time outdoors than indoors, and making this world a greener place to live. 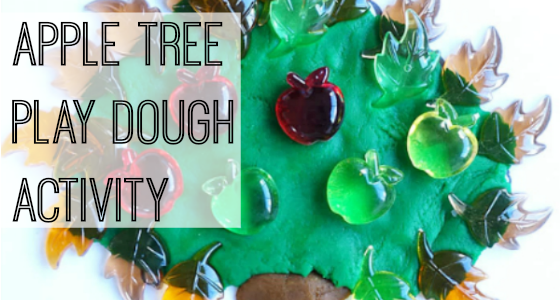 She is the creator of Rhythms of Play — where parents can find simple tips, crafts and activities to keep the kids busy all day. 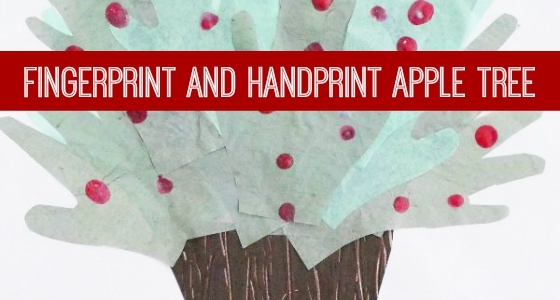 Check out her amazing All Season Hand and Fingerprint Tree. You can connect with her on Facebook, Pinterest, and Twitter. 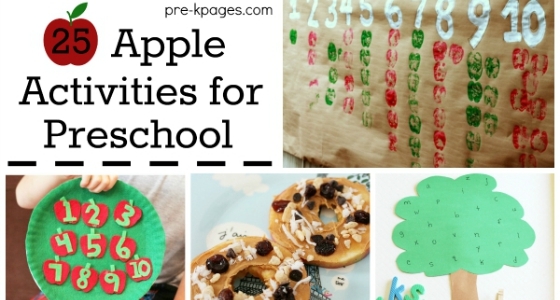 Nice apple fine motor activity. I’m going to apply it certainly.